The theme this month is Creative Uses for the Summer Bounty! Why should cookies be left out from the summer harvest? They shouldn’t! If you are a blogger and want to join in the fun, contact Laura at thespicedlife AT gmail DOT com and she will get you added to our Facebook group, where we discuss our cookies and share links. 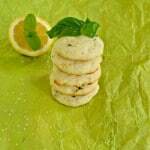 This month the Creative Cookie Exchange is making cookies featuring summer’s bounty. This was such a delicious one I wasn’t sure what to use! Initially I wanted to sneak zucchini into a cookie but I’ve made so many different zucchini breads lately that I’ve been a little over zucchini. So I went to the farmer’s market to see what they had. I saw a lovely collection of juicy, sweet peaches, ripe apples, and baskets of blackberries and blueberries. The peaches and blueberries were really calling my name so I bought some of each. Once home the peaches ended up in cupcakes which left the blueberries for my cookies. Since one of my favorite flavor combinations in lemon blueberry that’s the cookies I went with. Well, that was the combination I was going to go with and then I just had to add in some white chocolate chunks and a bit of chopped mint. The chopped mint grows wild in my garden so we always have plenty and the white chocolate was begging to go with the blueberries. These cookies do not have the texture of a classic cookie. They are more cake like in the batter and in the finished cookie. The edges and bottom did brown and get slightly crisp but the inside was soft and delicious. The lemon zest added huge amount of flavor and the blueberries were juicy and perfect. 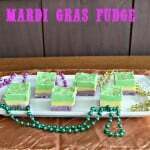 The white chocolate was a great touch and there was just the slightest hint of mint. It’s a great summer cookie with all the different flavors that make me think of being out in the garden in the middle of summer. Preheat the oven to 350 degrees. Place a non-stick baking mat on top of a baking sheet to prepare for baking. In a large bowl cream the butter and sugar together. Add in the lemon zest, lemon juice, and egg. Mix well to combine. In a medium bowl combine the baking powder, sea salt, and flour. Mix well. Add the flour mixture to the butter mixture and mix until well combined. Gently fold in the blueberries, white chocolate chunks, and mint. 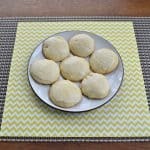 Drop the cookies by heaping tablespoon onto prepared baking sheets. Bake for 10-12 minutes or until the bottoms are just golden brown. Remove from oven and cool for 1-2 minutes then remove to a wire rack to cool completely. 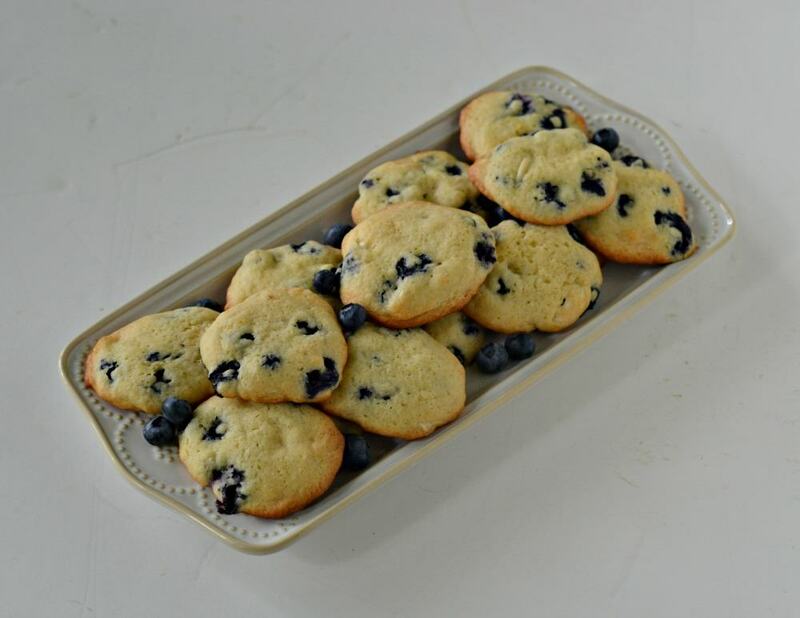 A cake-like cookie stuffed with blueberries sure sounds tasty to me. Yum! 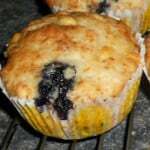 Lemon and blueberry is one of my favorite combinations as well, Heather. These look like a little burst of sunshine and sweetness! Lemon-blueberry bundt cake is one of my favorites and these cookies seem to capture that texture and taste but in a sweet single-serving cookie size. I am sold! I’d love these! Lemon and blueberries are my all time summer favorites. Blissful summer treats. 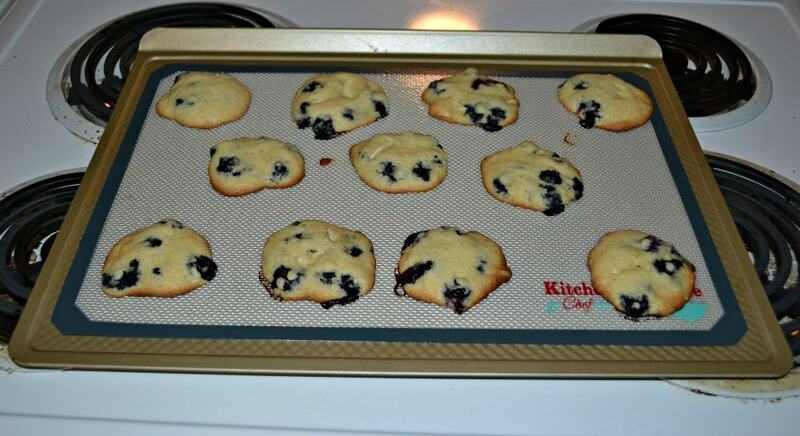 There is a similar cookie that I make with dried blueberries so I just know these were awesome! Especially love the white chocolate, I love white chocolate with fruit. So tasty! That appears irresistible. Oh Heather I love blueberry and lemon and your addition of white chocolate sounds terrific. A cake-like cookies filled with lemon, blueberry, and white chocolate? These sound positively scrumptious … thanks for sharing! Yay! Lemon and blueberry are tasty together! What a delicious looking batch of cookies!